I have spent a lifetime studying the work of G.I. Gurdjieff and P.D. Ouspensky and while so many so called representatives of the tradition have modified it with new ageism or other religious systems, Patterson has always presented the tradition without distortion or obscuration. Having received his training via Lord Pentland Patterson’s transmission of the teaching has always been incisive, clear and rigorous. Patterson has a prodigious output when it comes to publications, nine books (including this one), a magazine, The Gurdjieff Journal, four DVD’s and The Gurdjieff Studies Program. He is considered by many, including myself, to be the most significant teacher of The Fourth Way today. This feat is amazing in itself but this book is not simply a biography but an outline of the “Way of the Sly Man” or The Fourth Way. Patterson gives one of the most extensive expositions of The Fourth Way with exceptional clarity and succinctness. Being succinct is an art, it means ignoring literary pretensions and ego aggrandizement and using words carefully and with immense care. Patterson’s way of writing is direct and without undue padding; others writing this volume would have made it three times the size, but Patterson writes to do a job and does it well. His outline of the nature of The Fourth Way shows a lifetime of study and practice and offers insights not found in any other similar volume. 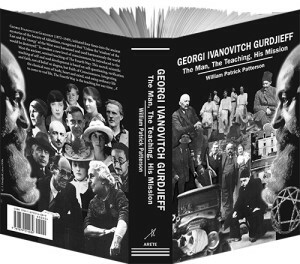 The reference materials included in this volume are rare and include such never-before-published essays “Why I Left Gurdjieff” and “Where I Diverge from Gurdjieff”; original deleted material from Search; Uspenskii’s American femme fatale, Carman Barnes; Jessie Dwight Orage’s short stories “Elsie at the Prieuré” and “Elsie and Allah”; notes of Kathryn Hulme and Solita Solano (1935-39); The Science of Idiotism, and the complete scenario of Gurdjieff’s ballet, The Struggle of the Magicians. The book itself is beautifully presented as a 6 x 9 hardcover with sewn binding, essays, notes, references, bibliography, photos and a comprehensive index. The most significant thing about Georgi Ivanovitch Gurdjieff—The Man, The Teaching, His Mission is its focus. As someone who has read lots of books on The Fourth Way Patterson time and time again reminds us of the “why” of the tradition, that is to wake up slumbering mankind. This is not a book written for the sake of it but written for an age in crisis when we must examine our own lack of awareness, our own confusion and lack of a true self and consider making the urgent journey to forge a soul. This is clearly a difficult if not dangerous task but one which is becoming more and more mandatory in a world dominated by superficiality, consumerism and distorted forms of culture and spirituality.